IJOY Captain Subohm Tank can fits high VG e-juice due to CA2 & CA8 coil system design, which will bring you best flavor and smoothest airflow vaping experience. It is newest captain series tank from ijoy family, it comes with 4ml capacity and 25mm diameter. 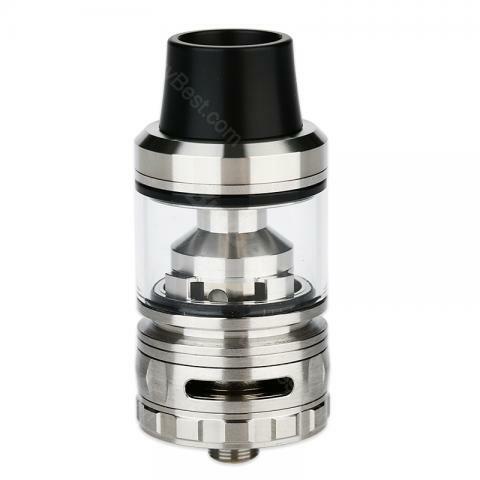 Subohm tank is very convenient to replacement the coil for the design by no threaded coil head. The features a unique designed groove can reduce the device from heating up during extended use. It can fits high VG e-juice due to CA2 & CA8 coil system design, which will bring you best flavor and smoothest airflow vaping experience. 4 colors in stock. Funktioniert einwandfrei bin sehr überzeugter Dampfer geworden und werde weiterhin Dampfen. Liquids selber mischön und die stinkenden Zigaretten weg lassen. IJOY Captain is actually fantastic, that makes big clouds and performs so well.